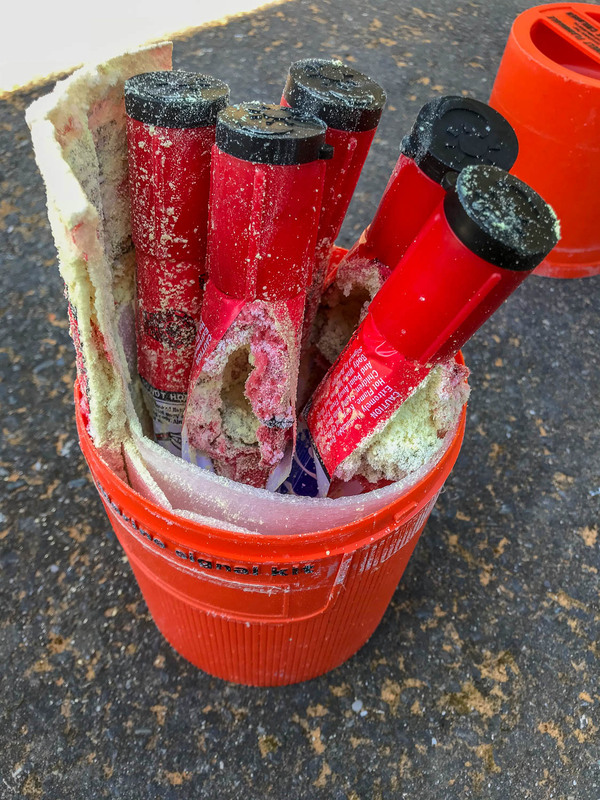 My last post showed the sad state of the flares we had in our dinghy. Moisture took its toll. Are These Flares Still Good? Spring is here. Now is a great time to check the condition of all your safety gear. 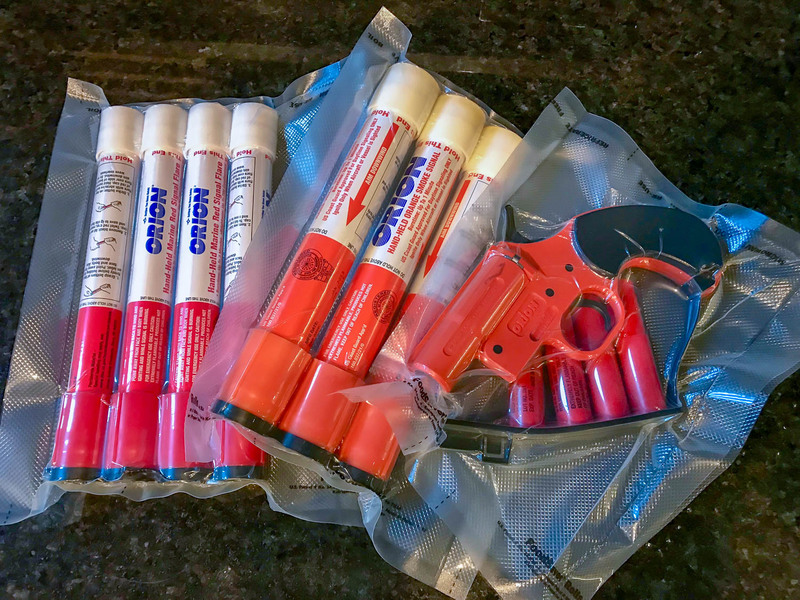 Be sure to check the expiration dates on your flares. I think these are a little past their prime. Another beautiful morning. This one started in Friday Harbor. We took care of a couple errands, cleaned the boat a bit, and headed for Roche Harbor. 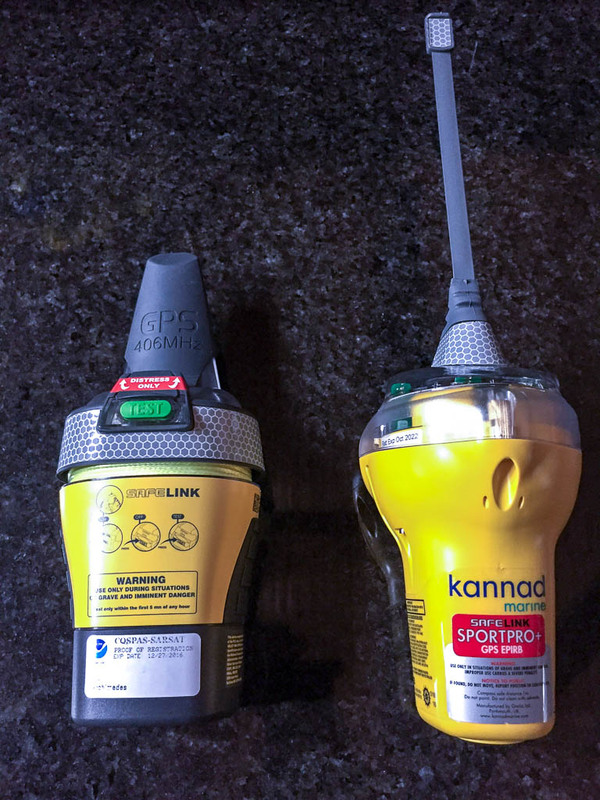 Got the new EPIRB a week or so ago. I am happy that Kannad was kind enough to replace it, but a bit sad that they sent a different model. The new unit has a large spring out antenna and is deeper and wider than the old one. The previous unit was sleek and smaller. It won’t fit as nicely where the old one was. Not a big deal. An EPIRB that will work when you need it is. 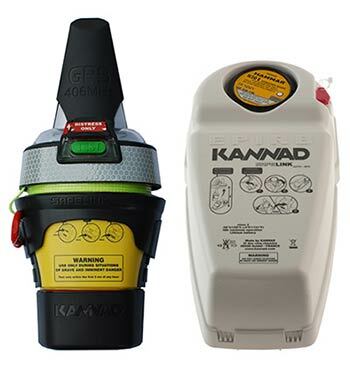 We received an email from NOAA this morning notifying us that Kannad is recalling our SafeLink EPIRB. The silver lining in this is we likely get a new EPIRB out of the deal. Update 3.8.16: Our new EPIRB should arrive Thursday. The process has been painless. Filled out a web form and exchanged a couple emails. That’s it so far. As the boats arrive, they move slowly toward the field of mooring buoys. Invariably, there is someone on the bow, boat hook in hand, giving directions to the person at the helm. As they approach their selected buoy, the boat slows and the person on the bow reaches way down, grabs the buoy ring with the boat hook, tries to pull the ring all the way up to the deck, but can’t. Then they lean way over and go through the gyrations of running the line and securing the buoy. This often requires the efforts of more than one person and occasionally more than one attempt. While ultimately successful this seems to us like the hardest method possible. The buoy will be secured to the bow cleats, but are there rules that say you have to catch the buoy at the bow? Last Saturday evening, we were on the Sound headed back to the locks. Just outside Shilshole, I went out on deck and noticed a Coast Guard boat approaching on the port side. When I saw the blue lights, I knew their intention. Those are cool boats, by the way.